Editor's note: There is one photo and one video accompanying this press release. Teekay Corporation (NYSE:TK) (Teekay or the Company) announced today that its jointly owned floating production storage and offloading (FPSO) unit, the FPSO Cidade de Itajai (Cidade de Itajai), achieved first oil at the Baúna and Piracaba fields in the Santos Basin offshore Brazil. The Cidade de Itajai is owned and operated by Teekay and Odebrecht Oil & Gas through a 50/50 joint venture. The FPSO unit, which was recently converted from an Aframax hull at Sembcorp Marine's Jurong Shipyard in Singapore, is designed to process 80,000 barrels of oil per day and compress two million cubic meters of natural gas per day. The FPSO unit is contracted to Petroleo Brasileiro SA (Petrobras) at fixed-rates for an initial firm period of nine years, with extension options. "Today marks another significant milestone for Teekay's offshore business and its growing presence in the Brazilian market," commented Peter Evensen, Teekay's Chief Executive Officer. "The Cidade de Itajai FPSO conversion project, Teekay's first project working with our partner Odebrecht, provides Petrobras with a cost-competitive offshore production solution, while further expanding Teekay's FPSO franchise in the attractive Brazil offshore market." The Cidade de Itajai is the third FPSO unit introduced into the Brazil offshore market by the Teekay group. This includes two other FPSO units owned by Teekay's publicly traded subsidiary, Teekay Offshore Partners L.P. (Teekay Offshore), the Cidade de Rio das Ostras FPSO, which has been successfully operating in Brazil since 2008, and the Piranema Spirit FPSO, which commenced production for Petrobras in 2007 and was acquired by Teekay Offshore in late-2011. Teekay Corporation is an operational leader and project developer in the marine midstream space. Through its general partnership interests in two master limited partnerships (MLPs), Teekay LNG Partners L.P. (NYSE:TGP) and Teekay Offshore Partners L.P. (NYSE:TOO), its controlling ownership of Teekay Tankers Ltd. (NYSE:TNK), and its fleet of directly-owned vessels, Teekay is responsible for managing and operating consolidated assets of over $11 billion, comprised of approximately 150 liquefied gas, offshore, and conventional tanker assets. 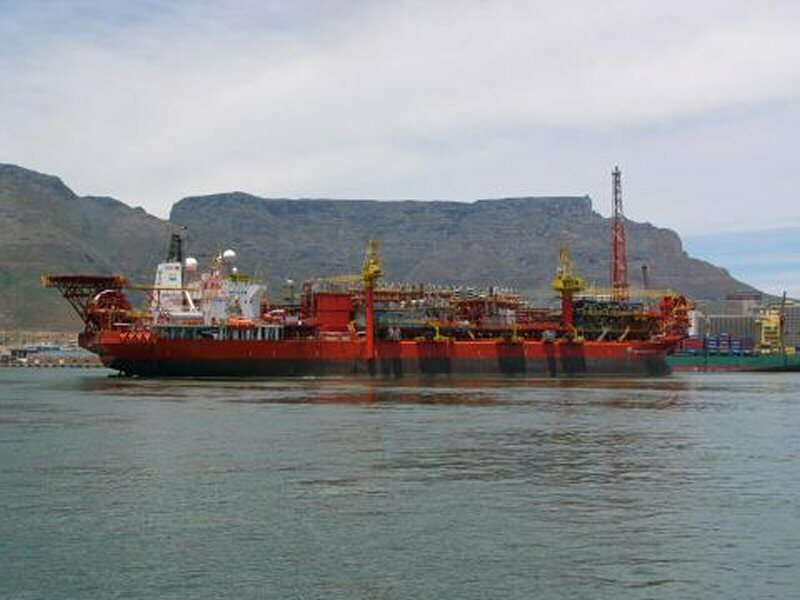 With offices in 16 countries and approximately 6,400 seagoing and shore-based employees, Teekay provides a comprehensive set of marine services to the world's leading oil and gas companies, and its reputation for safety, quality and innovation has earned it a position with its customers as The Marine Midstream Company. Follow us on Facebook and Twitter. Find Cidade de Itajai photos on Flickr, video on YouTube and fact sheet on SlideShare.